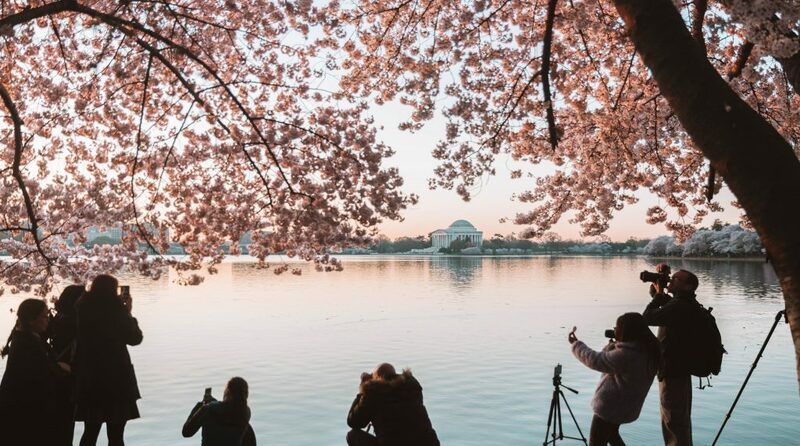 We love the Tidal Basin, we adore the cherry trees and we thought it was our duty to rally the community for a sunrise instameet to help kick off @savingplaces campaign to protect the space from rising sea levels. If you’ve been to the Basin, then you know the best footwear is a waterproof pair. Rising sea levels and as much as $500 million in deferred maintenance threaten this 107-acre landscape, which is lined with monuments that define our nation. And each cherry tree requires about $1,000 to maintain. It will take a village to protect this special place for generations. We hope you’ll join us as we pledge to do what we can to support the campaign. Here are some of our favorite photos from today and more can be found at #SaveTheTidalBasin.